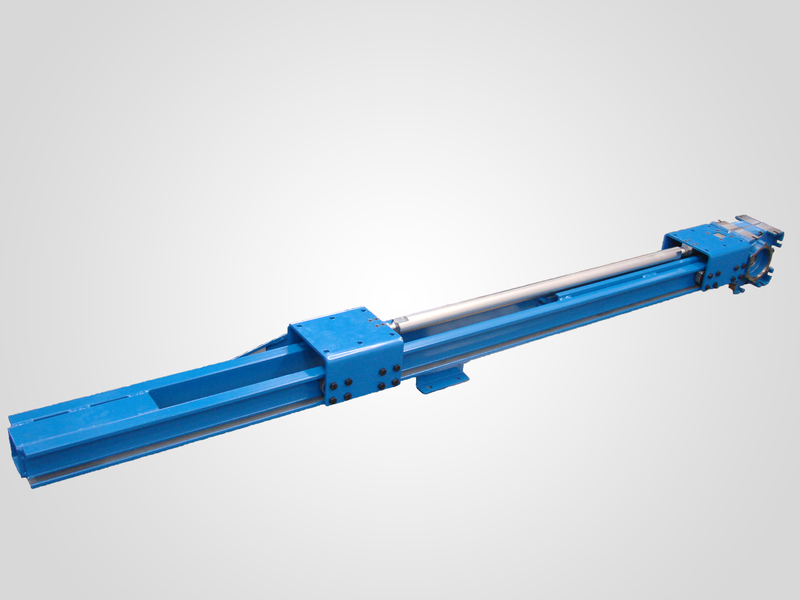 The LinearBeam mechanical linear actuator is a product that uses SERAPID Rigid Chain Technology. 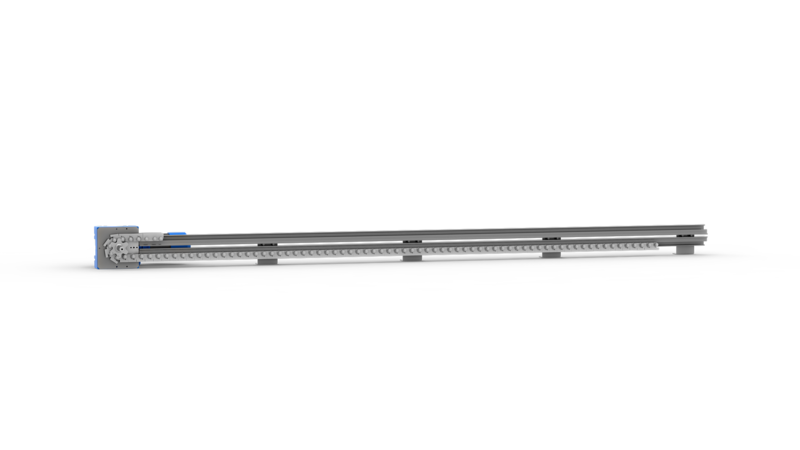 It is similar to a single part beam, composed of a drive casing, an active chain guide in the upper part, a magazine chain guide in the lower part, and a rigid chain. 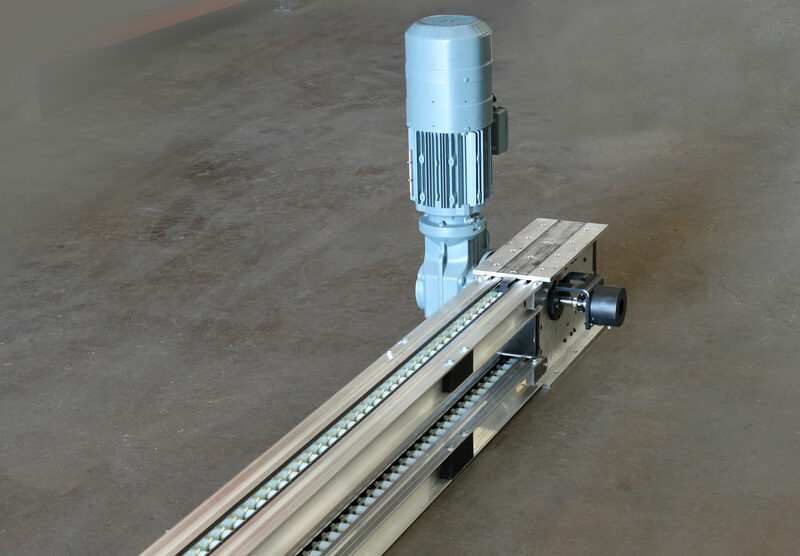 The compact and powerful LinearBeam linear actuator is designed to move heavy loads over long strokes. It is easy to build into your machines and civil engineering. The base system can be completed by a wide range of options and accessories in order offer a product that fully meets your needs. 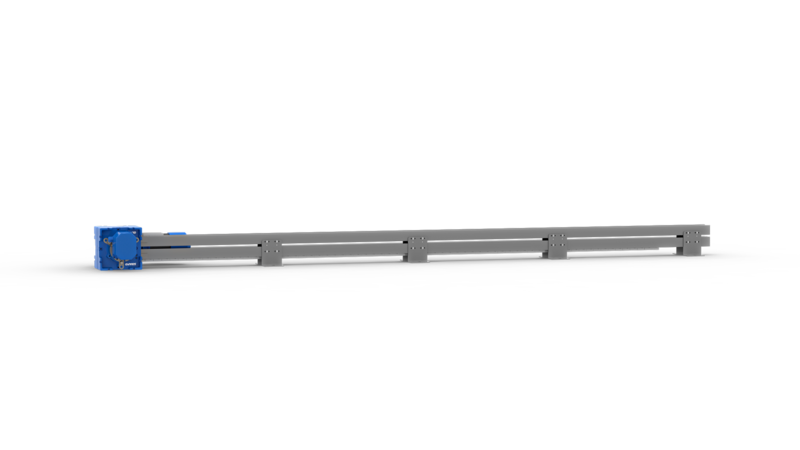 • Highly compact single block beam concept offering easy installation in existing environments, machines or buildings. • Standard speed up to 300 mm/sec. Beyond this value, please contact us.